I found a great box of photos last week, and I decided after looking through them that they were worthy of a separate post. If old photos aren’t your thing, I’d suggest skipping it! For the scrapbooks I often tried to capture a full page at once, mainly to save time on my end. Unfortunately though it’s hard to take pictures like that without having some of the photos disappear in the glare. Next time I might do things differently, like take pictures of individual photos and then make them all into a gallery, though I’m not a big fan of WordPress’ gallery format (it’s not very intuitive for people who might want to zoom in for a close look). Still, it might be the easiest way to share a bunch of photos at once, and I think the editing would be easier as well. Of course scanning is the best way to capture an image, but it’s also the most time consuming. Maybe at some point I, or someone else will take the time to carefully scan these images. Anyways, below is a small sample (~10%) of the photos included. Most of my favourites are here, but there’s a lot of great photos that aren’t shown as well. I found the box in one of Montreal’s wealthier neighbourhoods, and based on the photos I’d guess that this specific family has had money for quite some time. It was sitting next to a bunch of stuff that probably came from a basement. The box also contained some old recipe books, some of which (like the 1949 Scouts cookbook) were pretty cool. You’ll be able to see them if you come to my next yard sale. This is one of my favourite pages from that album. I’ve never seen a collection of portraits quite like it! It’d be a great skill (superpower?) to be able to recognize where any photo was taken. 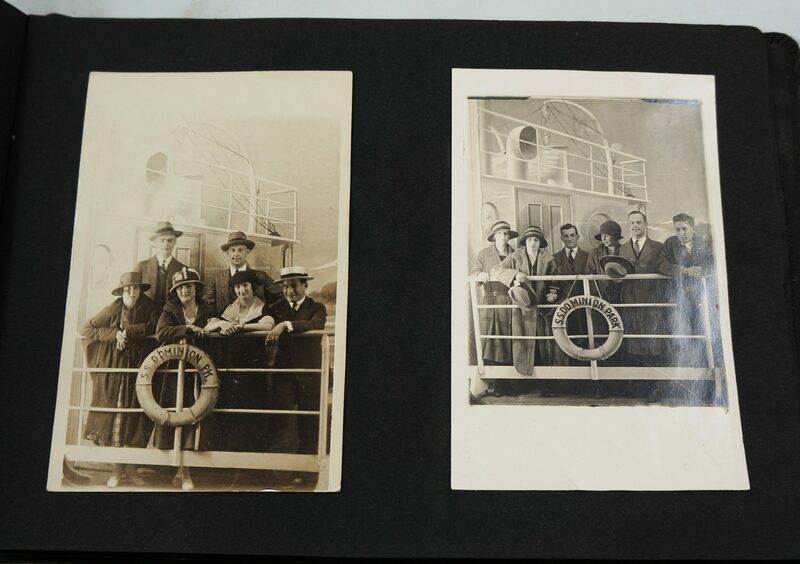 At the very least it’d be a lot easier to market specific photographs on eBay! Maybe technology will be able to do achieve something like that someday, but in the meantime let us know in the comments if you have any information about these photos. My favourite album was titled “[Guy’s name] 1917-1935”. 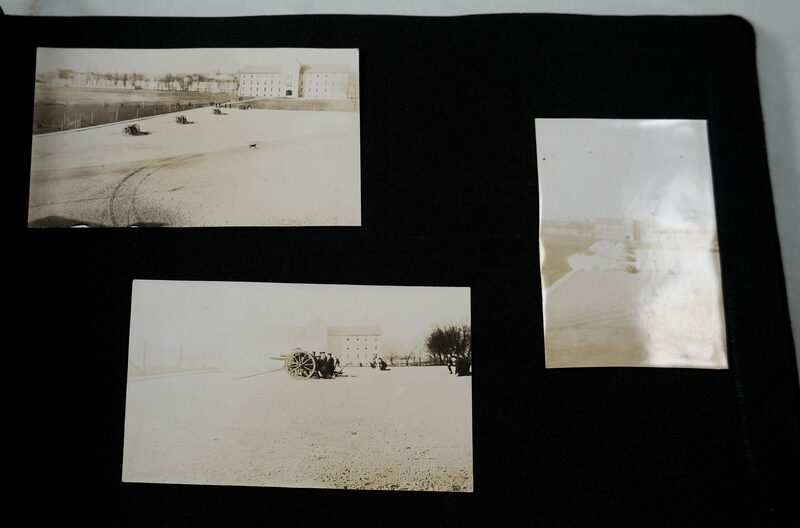 Most of the early photos look to have been taken at the Royal Military College in Kingston ON. Click on the photos and zoom in if you want a better look! I don’t think there was any lack of activities at the college. 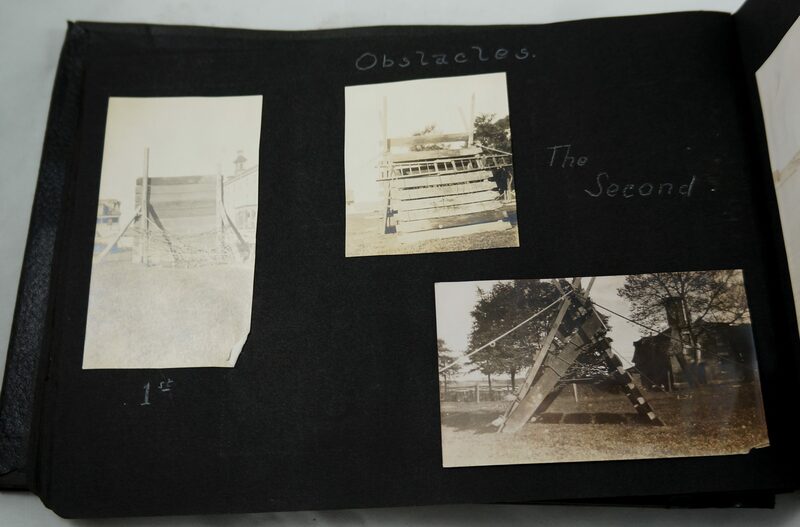 I like the photos of the obstacle courses, mainly because of how makeshift they appear. 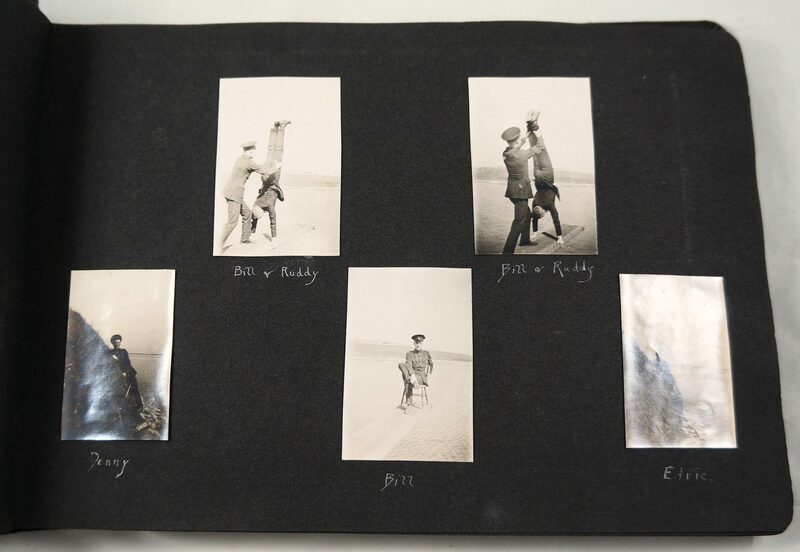 These photos (I presume of training facilities) were taken around the end of WWI. I’d guess that none of the people showcased in these albums ever made it to an actual battle. 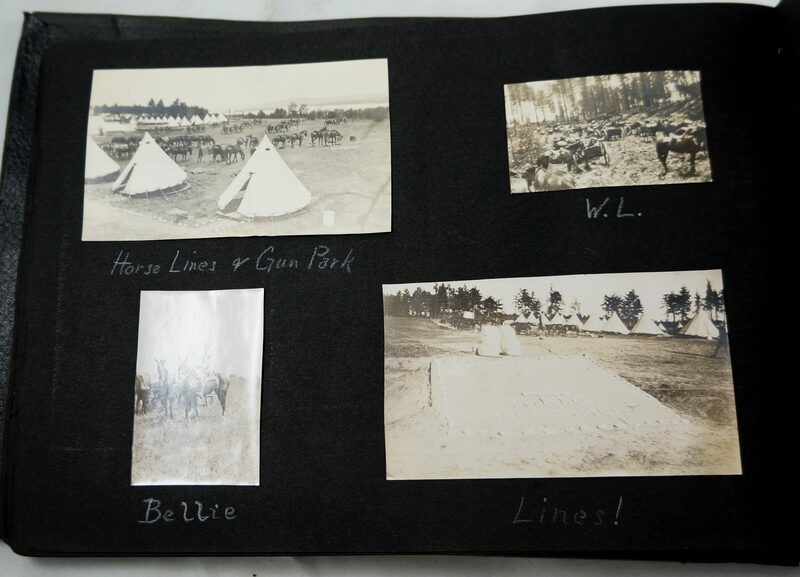 Regardless, it’s interesting to see that horses were still being used by the military at the time. 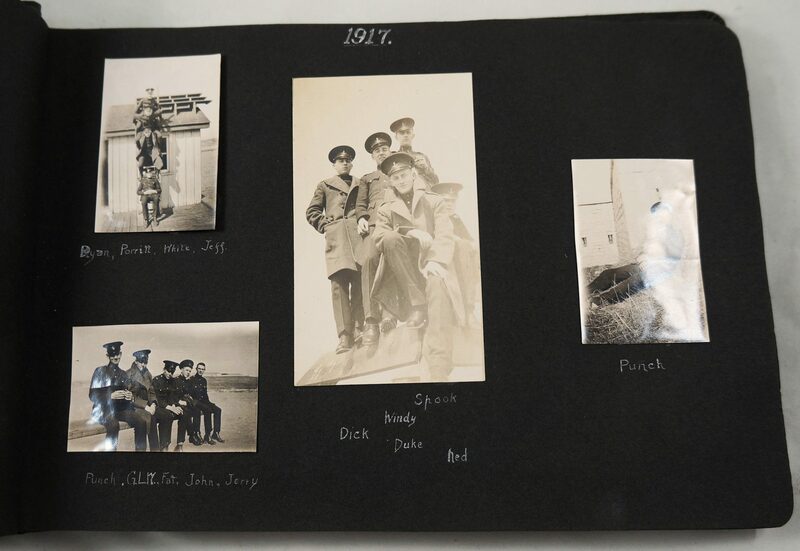 These photos are from the end of that album, presumably taken at least a few years after the war. 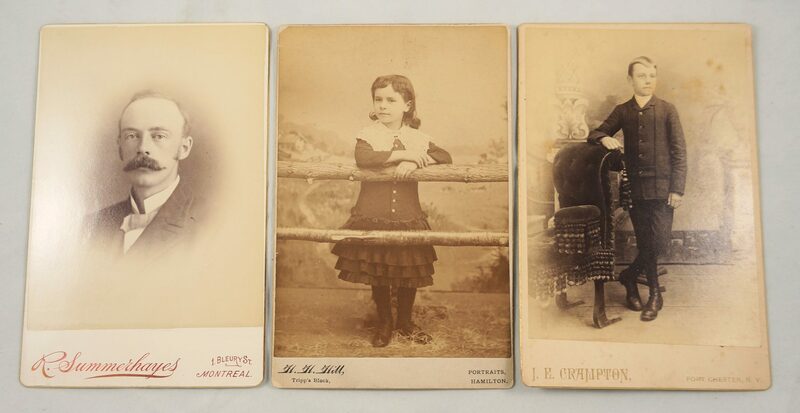 They were shot at a photo studio in Dominion Park, an amusement park that existed up until the mid-1930s in Montreal’s east end. Here’s a great web page if you want to learn more about Dominion Park. 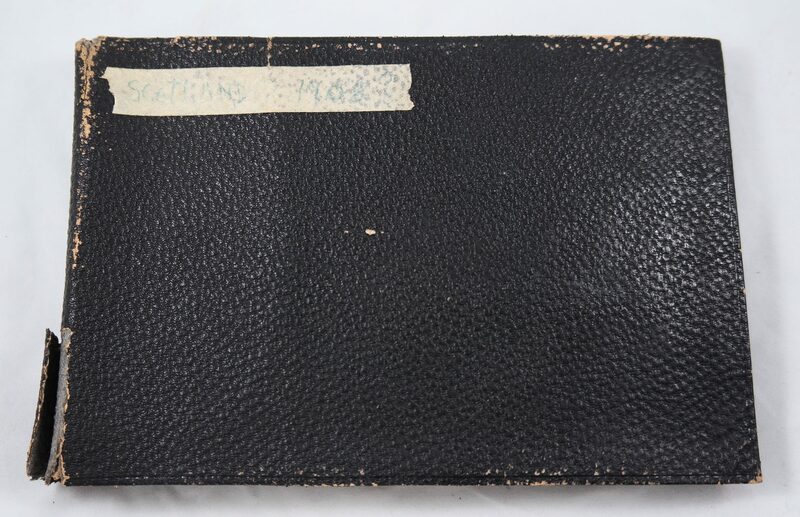 There were a couple of photo albums from the 50s and 60s, but most of my other favourites were found loose in small boxes or inside envelopes. 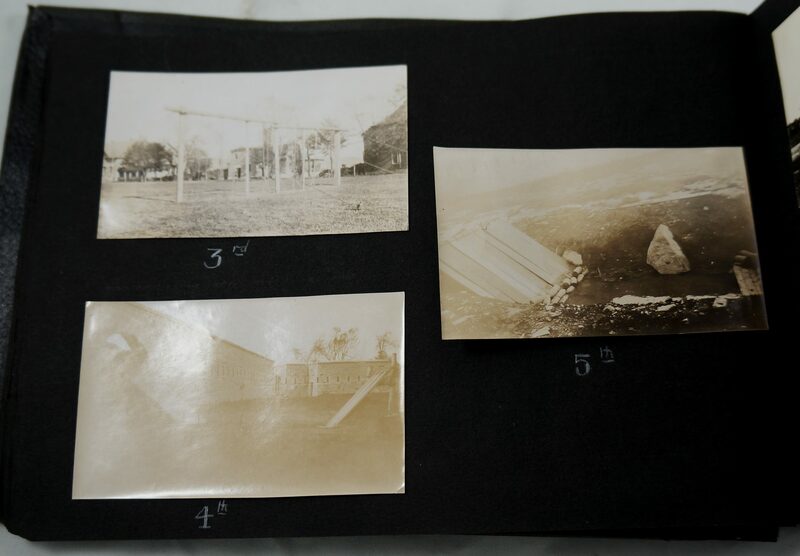 I found two tintypes (bottom left), my coolest of which is the portrait with the bikes. On the right is a photo of Queen Elizabeth and Prince Philip that was probably taken around the time of her coronation (it’s also worth noting that someone doctored the photo to remove a lot of the background). The photo at top left is interesting; I can’t claim to know much about the many different types of Native dress, but certain elements (particularly the pants, and some of the floral designs) bear some resemblance to what Nipo Strongheart (picture) used to wear. He was an early Hollywood actor, lecturer, and advocate of Native issues. However this is certainly not my field of expertise, please post any insights you may have in the comments! A couple of these photos feature women in uniform, something I don’t think would have been seen before WWII. The photo with the dog is cute, and the postcard photo was taken in Nice. I also saved some very old portraits that date back to the late 1800s. The names of a lot of these people are written on the back, which is good for a variety of reasons. The guy on the left looks straight out of the American Civil War. These are maybe my favourite photos of the bunch. They’re all a bit larger, measuring around 8.5 x 6.25″. 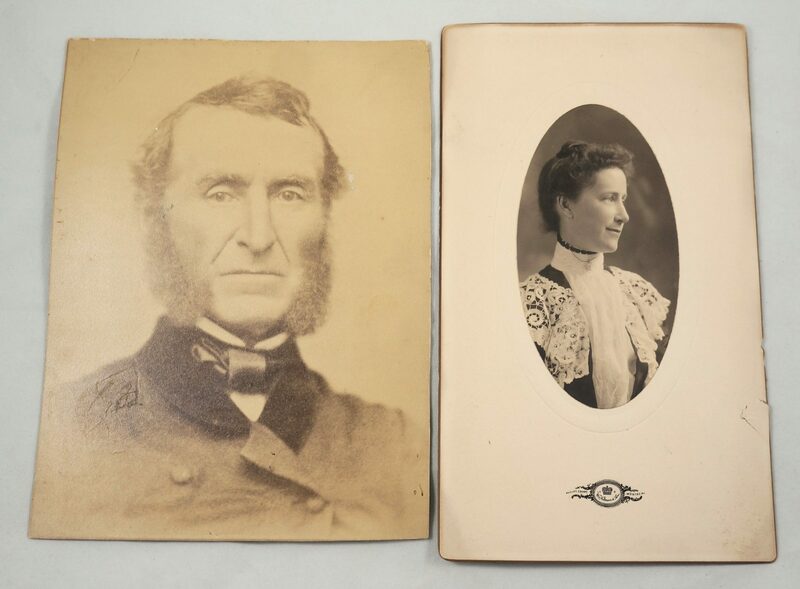 They’re signed “Notman and Son”, likely referring to the studio owned by well-known Canadian photographer William Notman. These date to sometime around the turn of the century, when exactly I can’t be sure. Perhaps someone familiar with the fashions of the time could help date it a little more specifically. Regardless, they’re very cool photos that I think would look great framed together. I would bet that, of all the photos in the box these will end up being the most valuable. Anyways, I hope you enjoyed all that! It’s been a good few weeks for found photos, that’s for sure. I hope to have another yard sale this weekend but as of right now the weather is looking pretty iffy. If the forecast improves I’ll post an announcement telling you where to go. Email: thingsifindinthegarbage@gmail.com. I often fall behind on emails, so I apologize in advance if it takes me a while to get back to you. Lovely! Sometimes I find old photos too and I can’t part with them. And calling cards with photos. BTW the City of Nanaimo is looking for old recipe books with a recipe of Nanaimo Bars so they can date the time of use of that term and ingredients. My Mum made these in the 40’s/50’s onwards and always called them “New York Specials” which is what my family still calls them when I make them today. I hear this is what they are called in the east. Online they are listed as New York Specials aka Nanaimo Bars and give the recipe with photos. Delish and still a fav! 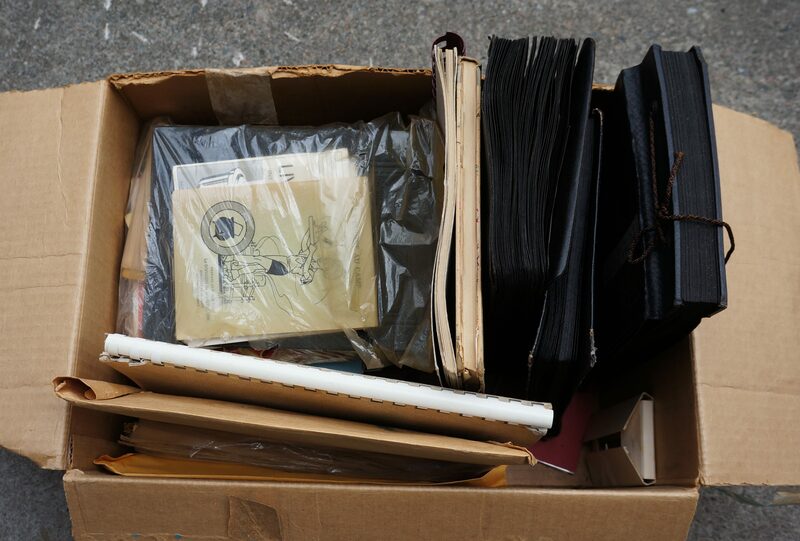 It always makes me sad to see photo albums and scrapbooks tossed out. So happy to see that you rescued these from oblivion! Vintage cookbooks sell very well on Etsy. Look them up there before you sell them in your garage sale. Books like the early Five Roses Flour cookbooks sell really well. 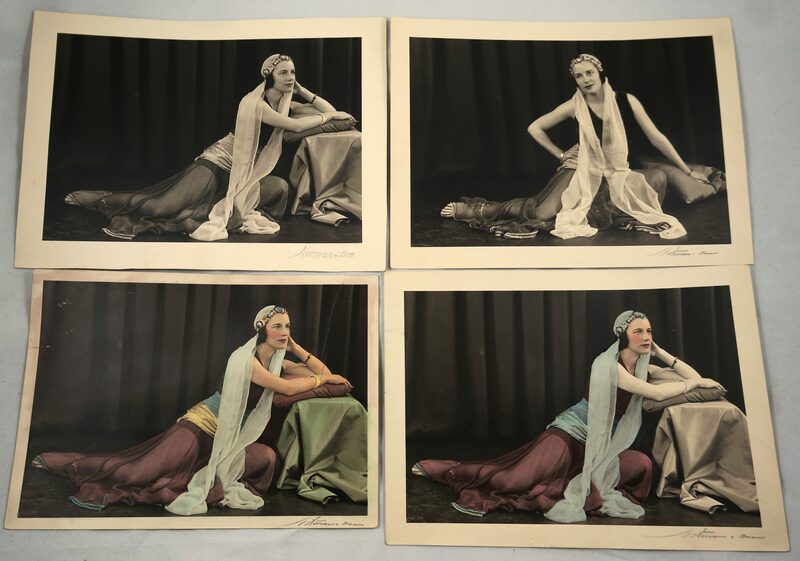 The four photos of the woman look like early boudoir photos. I didn’t see anything super great in there. The oldest one was that scouts book from 1949. You’re right though, some can go for a decent buck. I had never heard of boudoir photos, but it could be something like that. 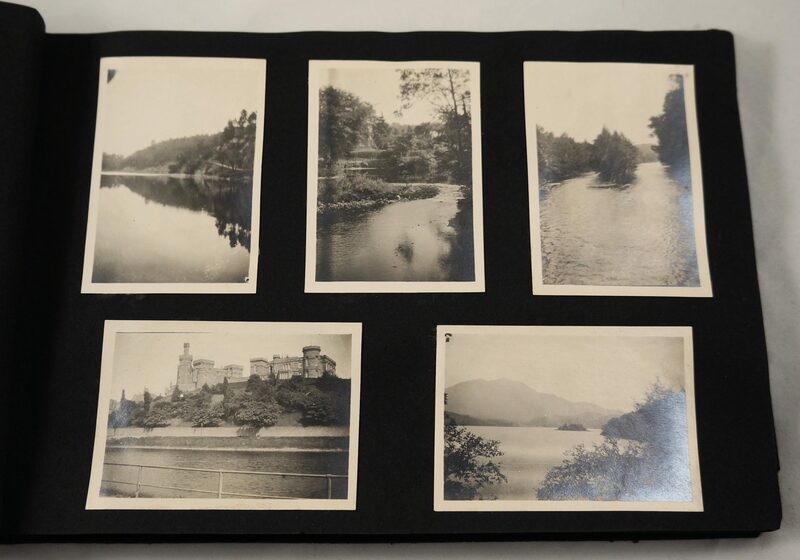 I agree that the William Notman photos might be quite valuable. Nice find! Yup, it’s pretty clear at this point that some people either don’t care or don’t know much about history (and the value of preserving these types of things). It does look a bit like a “harem” dress, I’ll have to look a bit more into that. 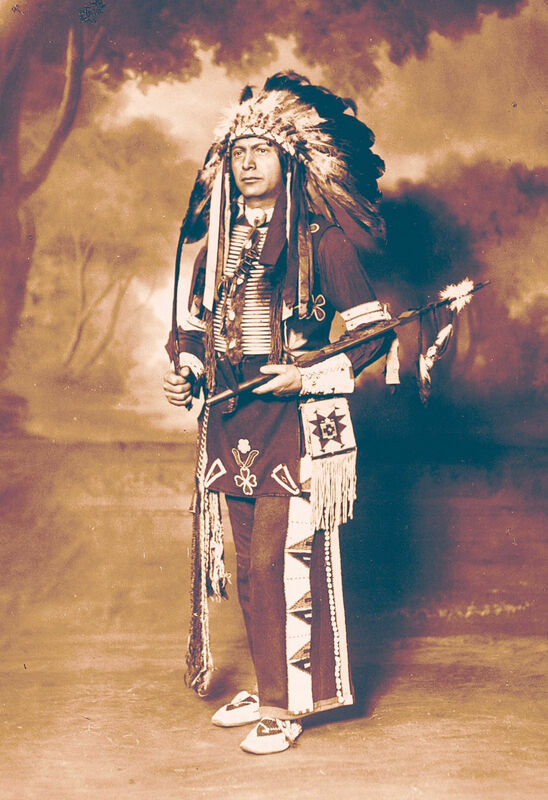 unless the family dealt with Hollywood types often…most likely he is either John Joesph Bell (1899 – 1979) was born in Kahnawake, alias Chief Joseph War Eagle or his son, Carl Donald Bell alias Chief Don Eagle. My grandfather John Joseph Bell wore the Mohawk haircut as a famous wrestler and thus created a fad for that hair style in the 1950s. My father, a noted boxer, worked hard to try to improve the living conditions of his people at Kahnawake. After he was murdered at the age of 40, my only solace was music. I am sure he would be interested to buy the pix if it is his father or grandfather. (The five Iroquois nations, characterizing themselves as “the people of the longhouse,” were the Mohawk, Oneida, Onondaga, Cayuga, and Seneca. After the Tuscarora joined in 1722, the confederacy became known to the English as the Six Nations and was recognized as such at Albany, New York (1722). For those interested in the history of the 1969 Occupation of Alcatraz, follow the trail back to the ” White Roots of Peace” Outreach Program which came about because of the ” Indian Defense League of America” which Clinton Rickard established in1926 at Deskaheh’s deathbed request after returning from Geneva in 1925. Utube has the photos of the annual Indian Defense League of America Bordercrossing Parade & Celebration held since 1927. Note: Walter Golden the note taker of the 1774 Governors’ Meeting ( NY, Pennsylvania, Delaware, & Virginia ) who had brought them to Pennsylvania for Ben Franklin to print up. ..who like the idea & 10 yrs. later called it the Albany Plan of Union & he asked Hendrick Mohawk to preside…)course the British had a spy who wrote to the king in 1754)so out of this came the Continental Congress which was the FIRST TREATY with the USA which is recorded by the 1776 Wampum…which enraged George Washington & was recorded by a guy named Morgan whose field note are in the Pennsylvania U museum..those missing pages were given to Dennis Banks who contacted Oren Lyons faith keeper of the Iroquois League. Old photos! These remind me of photos that were passed on to me by my grandmother – colourized and everything! I took them because my older sibling isn’t terribly sentimental that way. I don’t really know what to do with them, but feel an obligation to my family history to keep them. Still, they are cool to look at. So so sad!! It makes my heart brake to know those people no loner matter to whomever tossed them out! 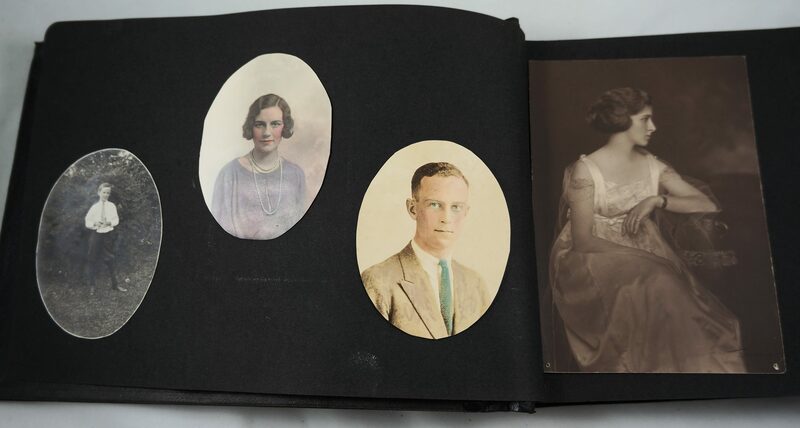 Ancestry.com has an option to upload photos for family history purposes. 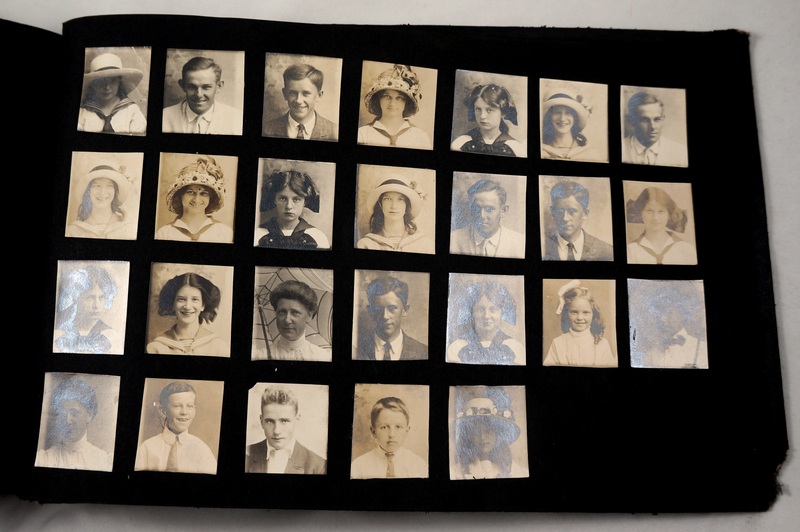 It would be amazing to up load some and so families all over the world could see their long lost relatives!! Love your blog!! Hello from a long-time lurker but infrequent commenter! I very much enjoyed the whole photo collection (as I do almost everything you post). 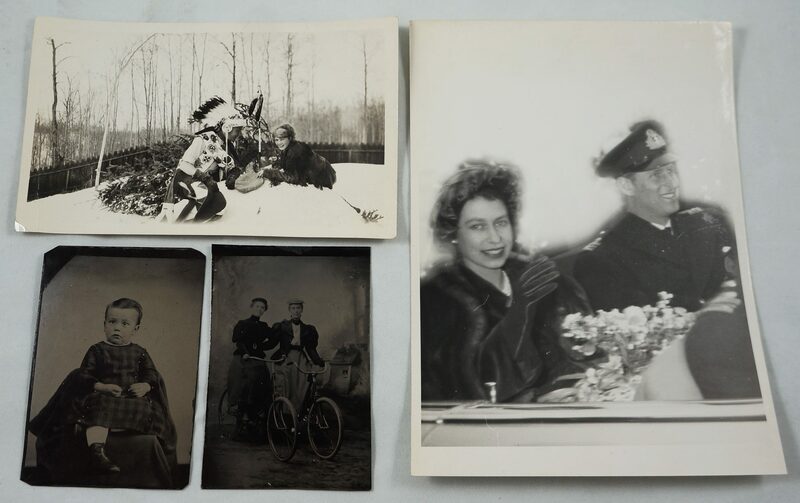 However, the only one I can offer a hint on is the photo of QEII and Prince Philip, since I collect British royal commemoratives and ephemera. My guess, based on how young they both look, is that this is a picture from their 1951 tour of Canada–the last foreign tour they completed before the death of King George VI, when she was still Princess Elizabeth. (They were in Africa on the first leg of a much longer planned tour when the King died.) And the early “photoshopping” of the background is also interesting. Hmm, thanks. That seems plausible. They do look awfully young. But remember, as the horse spread across North America, that increased mobility, so more was shared than in previous times. And that changed more in recent times, making a pan-indian culture. Frybread is “traditional”, but only after reservations, made from the staples that people got. Pow-Wows were a plains thing, now they are everywhere. Headdresses as seen in westerns have become more widespread. And then there are the stereotypes, from Wild West type shows through all those western movies. An expectation of a certain look because that was what was seen. So people pretending would go for those stereotypes, which in turn reinforced them. Nipo Strongheart, I’d never heard of him before, was Yakima, from the northwest, which I don’t think traditionally had headdresses like that. So just because he dressed that way isn’t really an indicator that it’s him. Lots of people in the public eye dressed that way. Peoples in the northwest had their own cultures, wonderful in themselves. The post-industrial, Pan-Indian Movement emerged in 1977 when the Haudenosaunee, and Indians from North and South America, presented their “Great Law of Peace” to the United Nations, with a warning that Western civilization, through the process of colonialism, was destroying the earth’s ability to renew herself. They recommended the development of liberation technologies which would be anti-colonial, or self-sustaining, and the development of liberation theologies. “A liberation theology will develop in people a consciousness that all life on the earth is sacred and that the sacredness of life is the key to human freedom and survival” (Akwesasne Notes 1978: basic call to consciousness). The Peacemaker argued not for the establishment of law and order, but for the full establishment of peace, and universal justice. As a third generation activist perhaps people would like to know that IDLOA has been upholding the Jay Treaty of 1794 & the 1812 Treaty of Ghent since the 1920’s. Clinton Rickard -a chief of the Tuscarora Nation, the Martins of the Six Nations Reserve along with my grandparents- Frank & Teresa Meness of Kitigan Zibi Anishnebeg organized the first march in 1927 following years of harrassment & discrimination from some of the (then)recent European immigrants manning the US/CANADA border – despite the fact that no “overt” official orders had come from Washington to bar Indians specifically. A traditional Cayugan leader Levi General- Deskaheh, chief of the Younger Bear Clan was mandated by the Six Nations Council to assert Iroquois national rights in an international forum. So traveling to Geneva, Switzerland, in the early 1920s he petitioned the new League of Nations, forerunner of the United Nations. While staying at Chief Rickard’s house on the Tuscarora reservation (in New York state) Deskaheh fell ill and sent for his traditional medicine man from the Six Nations Reserve in Canada. But the medicine man was not allowed across the border. The U.S. had just passed the Immigration Law of 1924, which denied entry to anyone who did not speak English-notwithstanding that some of the more recent border guards – newly minted immigrants from Europe couldn’t speak English well themselves!! Although the measure was directed against Asians, covertly it allowed for the barring of North American Indians & thus the traditionally raised medicine man, who did not pass the English test since he only spoke his own language. He didn’t make it to Deskaheh, who eventually who passed away in Chief Rickard’s house. On his deathbed in June 1925, Deskaheh told Rickard to “Fight for the line”. Later that summer during the Six Nations Chiefs Council National Picnic the chosen successors to Deskaheh’s work were:Chauncey Garlow(Mohawk) Alexander J. General(Cayuga)Robert Henhawk(Onondaga) & Clinton Rickard (Tuscarora)& so he devoted his life to defending the right of free passage for Aboriginal people. After WWII people & the “free world” was thinking about human rights Canada developed it’s own citizenship laws & debated offering citizenship to Indians since we had volunteered in greater % than Canadians themselves per capita/population. Needless to say, “Canadian or American” citizenship is rejected by those of us raised to resist this encroachment of our sovereign rights. The first IDLA Border Crossing Celebration symbolizes the continuous assertion of our sovereignty as Indian Nations. The wampum belts are instrumental in teaching settlers & their gov’t about agreements made prior to the formation of both Canada & the USA. This year marked the 90th continous march across the U.S-CAN border. The celebration is held in Niagara Falls on the third Saturday in July – everyone is welcomed. In Akwesasne, it evolved into the White Roots of Peace movement. This caravan of tribal elders traveled across the country in the late ’60s, carrying a message of traditional revival to Indian communities, on and off reservation. One result was the Bay Area activism that led to the Indian takeover of Alcatraz Island. Another result was the political awakening of a whole generation of activists because as my grandfather said: BEING INDIAN is political. Thanks for the info Michael & Donna! I have some reading to do. How I wish I could go to your yard sale! What wonderful photographs! This transmission of prophecies was prophesied–in the Hopi Prophecies–to occur once the “House of Mica” (United Nations) was built, and later visited by the Prophecykeepers… and their further instructions differed depending on whether they were allowed to speak, or not allowed. They were effectively barred from speaking at the United Nations, because they were only allowed to speak when no one of importance was listening. Since they were barred from speaking at the House of Mica, their “Original Set of Instructions” stated that they were to use any means necessary to get the messages out. The original prophecykeeper elders are mostly all dead now… themselves stating that Purification day would closely follow their deaths… but a few adopted sons and daughters still remain to carry on, themselves up in age. These prophecy messages are of utmost importance to the future of the planet, when very few survivors of the final holocausts will eventually meet each other, and the differences between them need to be minimized, so that life may go on in a peaceful, manner. In 1970, my grandmother & aunts presented Commanda with three sacred wampum belts, precious historical records and living artifacts. It had been decided at an idloa meeting that William should have the belts. The Four Nations Belt- Symbolized an alliance or agreement between the Huron Indians and the French. It represented Huron strength. The men on the belt were warriors holding shields. and villages that were leagued with him. Gustwenta is about four feet long and has two dark rows of beads to show the two governments as separate but equal. The Iroquois Confederacy, also known as the Haudenosaunee, began the Covenant Chain in 1692. This treaty is recorded in the Two Row Wampum belt called the Guswenta. One row represented the white man’s ship that contained all of his culture, religion, and laws. The other row represented the Iroquois in their canoe, with all of their traditions, beliefs, and laws. It was called the Covenant Chain because the metaphor for that relationship was a silver chain that tied the white man’s ship and the Iroquois canoe to the Tree of Peace. An actual silver chain was made to symbolize their agreement. The three links of that chain were said to represent peace and friendship forever, the basic themes of all Iroquois treaties. As the dominant European powers in North America changed, the Covenant Chain was continually renewed with the Haudenosaunee. “blatantly revisionist spectacle of the Canadian Government’s advertisement commemorating the start of the War of 1812 – The Fight for Canada (Anon. 2012). In approximately 1 minute and 3 seconds, this piece presents the War of 1812 as the pivotal moment that forged Canada from a collection of immigrant settlers represented by Major General Issac Brock, francophone ‘exiles’ represented by General Charles-Michel d’Irumberry de Salaberry and First Nations confederates represented by The Shawnee War Chief, Tecumseh. As the camera pans from actor to actor, and the music swells to a patriotic crescendo, the narrator intones ”But we defended our land … We stood side by side … and won the fight for Canada” (Anon. 2012). The fact that Canada did not exist until the signing of Confederation in 1867, or the fact that Tecumseh and his First Nation confederacy was fighting to prevent America’s Northwest expansion is of little consequence, what is important to the producers of this piece (read the Government of Canada) is that the War of 1812 begins Canada’s march to independence, to decolonization, to nationhood. This production is an attempt to stir jingoistic pride with thinly veiled propaganda that suits the government of the day’s propensity for manipulating facts to fit ideology. Congratulations for saving these fabulous historic photos.If it were not for you,they would have gone to the landfill shockingly.I feel like hugging you in a man-to-man embrace.I am a Toronto-based professional photographer for marriages.I also do wildlife and nature photography.I cannot believe someone could throw these out so casually.I hope more historians and geneaologists discover your blog and sing your praises. Great find, and thank you for saving these photos. The next step in saving them would be to preserve the collection and not sell them piece by piece! Great find and thank you for saving all these wonderful memories. 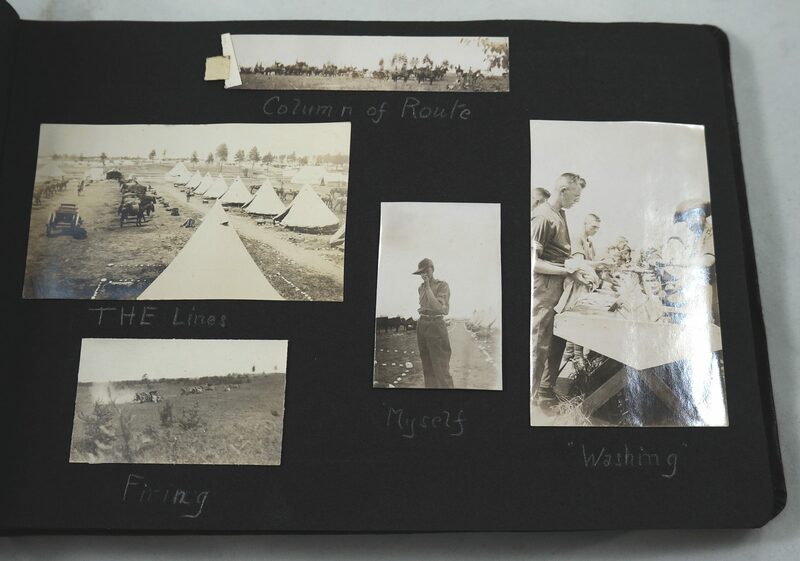 Royal Military College have a Historian and they have an Archive is you wish to donate those to RMC I am sure they would be happy to receive them. My husband is ex military and we live here in Kingston 3km from RMC. 🙂 As well, there is a small Boy Scout museum that was started several years ago here in Kingston, they may be interested in any donations I am sure. I can not understand why anyone would put those out to garbage – at least donate them to a thrift shop so someone will give them a new home. If you have names from the backs of them there are a few Facebook pages that allows one to post the photo with name so you can return the photo to a family member. Awesome story. The photo of the young girl by H.H.Hill photographer is from Hamilton, New York. 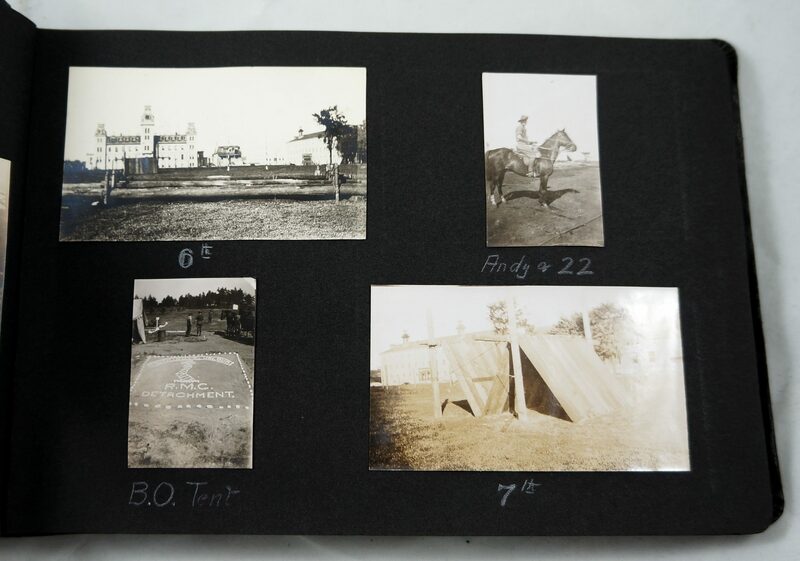 He operated in the 1890s He apparently took photos at Princeton NJ as well – so there may have been some connection re the college? 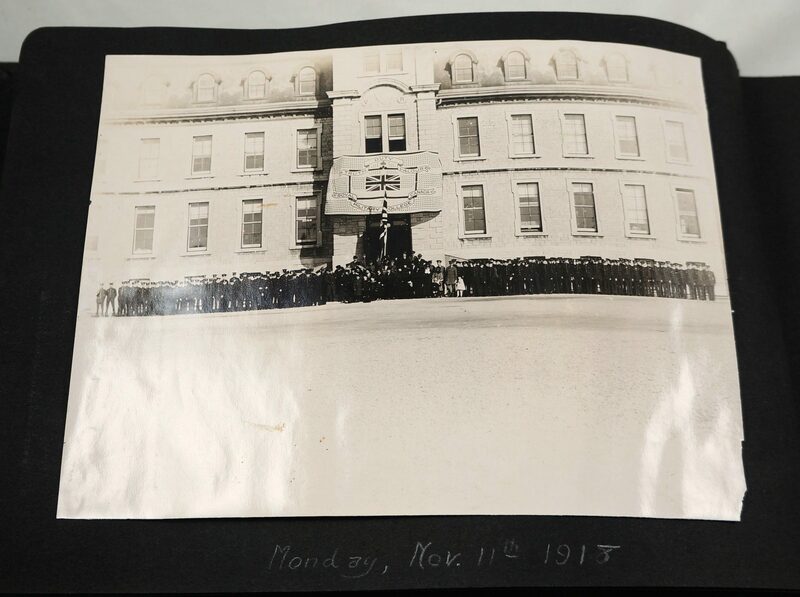 Also, McCord Museum in Montreal may have records of the Notman photos – or check with Library and Archives Canada. Many followers of Notman…. 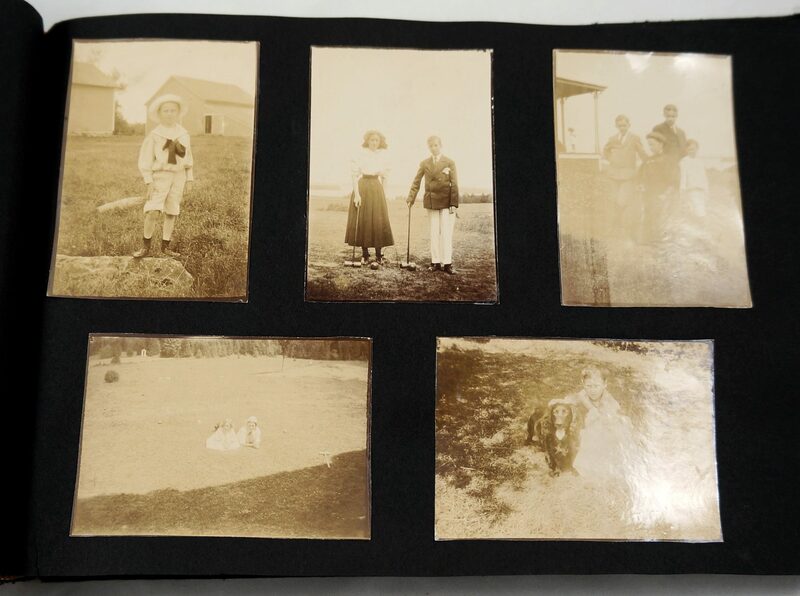 Amazing that someone would throw out their family photos….how sad. Which street did you find these photos on?In which neighborhood?I am curious. 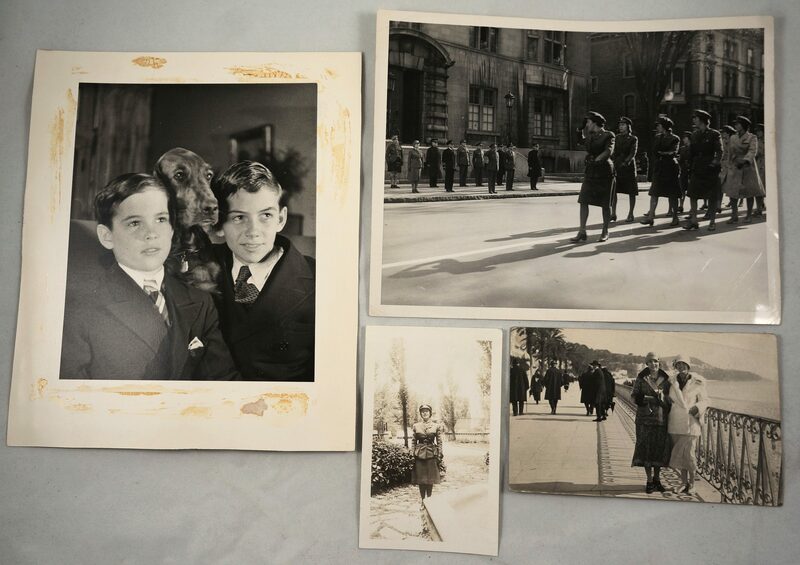 I am stunned like many others by the fact that somebody could just throw out these photos.Also in your last blog you mentioned picking up two stuffed animals from the curbside. I never throw my family photos.All of them fit one medium-sized box.When I moved from Ottawa to Montreal 5 years ago,I rented a truck two times and transported all my books,knick-knacks and furniture in two trips.I too have a collection of 25 stuffed animals and plush bears.All of them fit in one huge plastic bag.That bag is so light I can easily carry it with one hand.It was a breeze to move those stuffed animals from Ottawa to Montreal.Why do people throw out such light items like photos and stuffed animals?Very idiotic.